This is another repeat topic, but as it was last looked at over a year ago, I'd say it's fair game! Let's talk sci-fi. I asked our contributors to share their favorite sci-fi novels, with a pretty loose definition of what constitutes sci-fi. Check out our selections and let us know what you think in the comments. I've never been a fan of Sci-Fi, which is why I'm constantly surprised (and always pleased) that my crit partner RC Lewis writes SF. Really, really good SF that I'm *thrilled* the rest of the world will get to enjoy in 2014. In STITCHING SNOW, 17 year old Essie uses her tech skills to keep robotic drones functioning on a mining planet. Her hands can do more brutal work though, like in the cage-fighting arena where she faces down the miners and earns her share of the bets placed. But she'd rather be there than back on her home planet, where even she faced even darker dangers. But her past catches up with her when a shuttle carrying a mysterious boy named Dane crash lands nearby. She can't resist the urge to fix things, but he can't keep his real agenda a secret for long. I don't read a lot of sci-fi, but I just finished FOR DARKNESS SHOWS THE STARS (Amazing title) by Diana Peterfreund and loved it! It's a brilliant YA retelling of Jane Austen's PERSUASION, set in a post-apocalyptic world that is original and compelling. A genetic experiment gone wrong decimates the population, leads to a world war and causes a panic that causes the survivors to outlaw most technology. Society reverts to it's more humble beginnings creating a fascinating juxtaposition between those who fear progress and those who crave it. Elliot and Kai are on opposite ends of the spectrum. Despite the fact that they've loved each other almost their whole lives, they are torn apart by their differing ideals and upbringing setting the perfect stage for an Austenesque romance. Highly recommend to anyone who enjoys science fiction with a sweet romance. 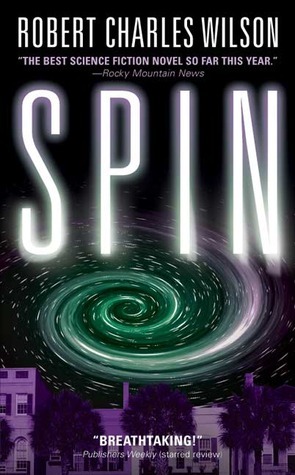 Spin by Robert Charles Wilson is one of the books I always recommend to people interested in trying out science fiction. It's considered "hard" science fiction, based on actual science and workable theories, but the advanced technologies it explores are presented in a very approachable way for readers like me who generally prefer their SF to feature warp drives and time travel. It also has a solid focus on its main characters, who are dealing with an amazing problem that hooks you right away: What would happen if all the stars disappeared one night? Discovering what's really going on and what's behind it, while following the experiences of some of the people affected by it with nothing less than the future of humanity in the balance, makes this a truly compelling read. But you don't have to take my word for it — the book won the 2006 Hugo Award for Best Novel. Choosing my favorite science fiction novel proved to be a difficult task. To make it a little easier, I decided to choose the first science fiction novel I remember having an impact on me: The Time Machine by H.G. Wells. To be honest, I'm pretty sure I saw the 1960 movie starring Rod Taylor first, probably before I even knew how to read. But both the book and movie took hold of me, opening my mind to the world of sci-fi and all its possibilities. I remember daydreaming about having my own time machine, imagining which time periods I would travel to and wondering who I would meet. H.G. 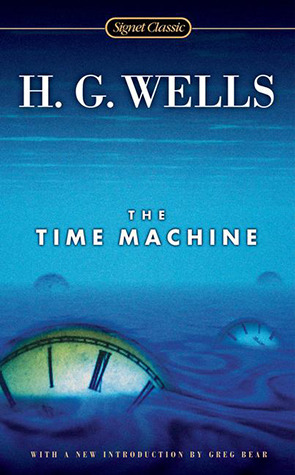 Wells' Time Machine is one of the reasons I have an ongoing fascination with time and dimension travel, and why I'm a sci-fi/fantasy author today. 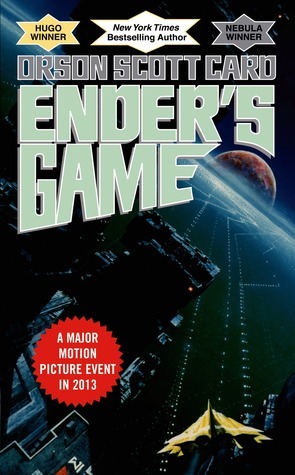 It had to be Ender's Game by Orson Scott Card. The reason is that it was somewhat of a game changed. As far as I know, it was one of the first big sci fi novels for kids that stars kids. I knew nothing of it when I read it a few years ago except that my 9th graders were being forced to read it for school and they loved it! Once I read it, I could see why. I did not see the ending coming at all, and I thought it delved into so many fantastic controversial topics. What a cool book! 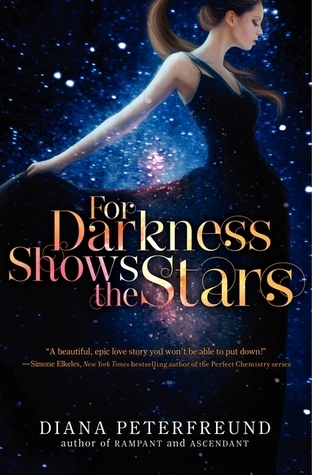 I LOVE For Darkness Shows the Stars and I can't wait for Across a Star-Swept Sea! I'll have to check out the others, but for Ender's Game, I'll probably end up seeing the movie first. When I read ATLAS SHRUGGED, certainly one best book ever, I felt that it could be classified as science fiction. Its science fiction gets points across, but it's science fiction nevertheless. This comment meets the requirement in the SON OF A GUN contest to leave a comment on any blog article. I use my google name here, but "Beth" is the name I use on Rafflecopter.